Hello! 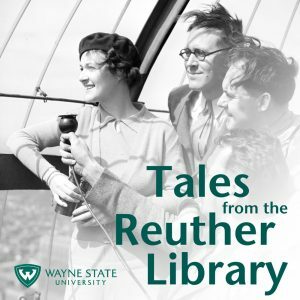 I just spent a few minutes and listed to your podcast on the Yamasaki buildings at WSU. Very nice! 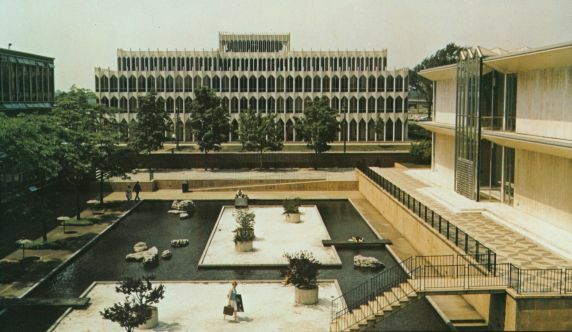 You may not know but there has actually been an effort underway for the past 8-10 years to better research and document the Modern movement in Michigan from the 1950s-1970s, of which Yamasaki was a very important part. Called Michigan Modern, the project provides information about the architects and buildings, and shares tours, events, and even real estate listings for modern resources around the state. (Yep, there’s definitely a Wayne State Modern walking tour). About 8-9 years ago, one of Michigan Modern’s first projects was to have the McGregor Conference Center listed on the National Register of Historic Places, to fully document its architecture and Yamasaki’s significance. It was later elevated to National Historic Landmark status in 2015. I’m going to work to get your podcast linked up to Michigan Modern’s list of web links and our social media to increase your exposure. Until then, take a look around at michiganmodern.org or find us on Facebook and Twitter. Great podcast!